Tokyo Friends was released on June 8, 2005. Unlike many other Dorama, it was never aired on TV. Instead it was released as DVD; 3 DVDs to be exact. Volume one and two contained the first 4 episodes while volume three contained the last episode. Each episode is approximately 70 minutes long. A Tokyo Friends Premium Box was also released, which includes all 5 episodes, a bonus DVD and 12 postcards. Although this is a very typical Tokyo-story and was never aired on TV, it was quite successful, most probably because it was Otsuka Ai’s debut as an actress. This dorama is about four girls’ lives in Tokyo: Rei, Maki, Ryoko, and Hirono. These four girls all moved to Tokyo in search for their dream. They all met at a local pub called Yume no Kura, which roughly translate to “Dream Warehouse”. While the girls worked hard at night as part-time waitress in the pub, they spent the days searching for their dreams. While they try to fulfill their dreams, they also fall in love. Sadly, not all their love life ends “happily ever after”. But all is good, because the four of them will always have each other to share their happiness and sadness with. The first episode starts off kind of slow. This is because it tries to introduce each of the main character briefly, while it focus on how Rei is adjusting to her new life in Tokyo. However, from the second episode onwards, things move more quickly as more characters are introduced. Rei is the first character we meet. She is still living at home and works in the family business. One day after seeing a Tokyo commercial on TV, she finally decides to move there. She doesn’t have a real reason for wanting to go to Tokyo, maybe she’s tired of the fish village lifestyle she’s been having and wanted to make a change of her life once and for all. After moving in with a friend and getting a part-time job at Yume no Kura, she begins searching for her dream. One night as she was trying to wake a drunken customer, she was suddenly offered a chance to become a vocalist of a band: Survival Company (also known as Sabakan). At first, Rei isn’t sure if singing in a band is what she really wants. After a series of minor decisions, she decides that she will stick with the band. Along with the other members of Sabakan, Rei is working hard towards the band’s big debut. Maki is a university student majoring in arts. She once told Rei that she is majoring in arts because it is the only thing she is good at. The many drawings that you see in the pub are done by Maki. Maki never clearly stated her dream. Even when she does tell us what she wants, it always seems to be changing. But one thing remains constant with Maki’s dream: it always has something to do with art. As Maki is ready to make another big change, she begins to question her love for art. She even questions herself, as to why she paints at all. Ryoko is an office lady (OL) and a regular customer at Yume no Kura. There are a lot of times when she’ll hang around the pub until closing. Her dream is to find a financially secured man and get marry. This is why she is always seen with a different man at the pub and is very knowledgeable about men. Eventually, Ryoko’s bad habit gets her into trouble: she is caught having an affair with one of her co-worker and this gets her fired. While looking for another job, Yume no Kura’s owner asks Ryoko to temporarily help out in the pub. Rei can’t stand Ryoko living her life this way, and questions her uncaring and casual behaviour towards men. While Ryoko couldn’t care less about what Rei or anyone else thinks of her, it seems there is more to Ryoko’s story than what meets the eyes. We don’t meet Hirono until the end of the first episode. She has left her home town and just arrived in Tokyo. She saw the “help wanted” sign for Yume no Kura, and decided to apply. Hirono’s dream is to become a great actress. But not just any actress; she wants to perform in plays that she wrote herself. Besides wanting to fulfill her dream of becoming an actress, there’s another reason why Hirono came to Tokyo. In high school, there was this senpai (an upper classmate) she really admired. Actually, more like a crush. She heard the senpai came to Tokyo and thus decided to try her luck there. The other girls often tease her about her relationship with the senpai, and always urge her to give him a call. As luck would have it, it turns out that the senpai is also a regular customer at Yume no Kura. The senpai is happy to see her, and he even invites her to join his theatre troupe. Ryuuji is the lead guitarist of Sabakan. He is the one that writes and composes all of the band’s songs. After hearing Rei’s singing, Ryuuji decided to make Rei as the band’s lead vocalist. Although the other member and Rei objected to this suggestion, Ryuuji convinced them to give it a try. That’s Ryuuji for you: he’s very stubborn when it comes to music. There are other times when this stubbornness becomes a selfish act. And these selfish act often gets him into trouble with his friends. But outsider can’t see all that goes on inside a person; sometimes Ryuuji’s selfish act is really just his way of expressing his feelings and concerns toward others. 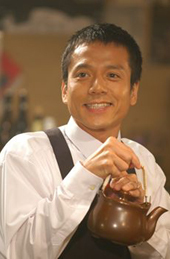 Kazuo, or better known as Tenshyo (manager), is the owner of Yume no Kura. His dream is to have a small castle serving the best French cuisine to the finest patrons. That’s why he spend the past 12 years studying French cooking. While waiting for his dream to become a reality, he opened up the Yume no Kura pub with his wife. One of Kazuo’s bad habit is that sometimes he gets a little too cozy with the waitress and ends up being scolded by his wife. In fact, his wife has been really dissapointed about his lack of motivation to become a better man and suddenly one day, she exploded and left Kazuo without looking a single glance back. This comes as a surprise not only to everyone at the pub, but also to Kazuo. Now he has to run Yume no Kura all by himself and figure out what how to live without his beloved wife. We don’t meet Keitaro until the second epsiode. He is Kazuo’s younger brother, and the pride of the family. He graduated from a second rate university and currently works for a bank. Although working at a bank is a swell and all, he finds this way of life very boring. It seems that everyone wants something from Keitaro: Rei wants him as Sabakan’s audience; Maki thinks he will make the perfect model for her drawing; Ryoko sees him as a husband who’s financially stable; and Hirono wants his help with live theatre. Maybe with the girls dragging him around to help fulfilling their dreams, Keitaro will be able to spice up his own life and eventually find his own dream. Like Keitaro, we don’t meet Kenichi until the second epsiode. Kenichi is Hirono’s senpai from high school. He moved to Tokyo and created a small theatre troupe call the “White Tights”. He is the leader of the theatre group, and writes all their scripts. Kenichi doesn’t seem surprised when he first saw Hirono at Yume no Kura. He explained that an old classmate already told him about Hirono moving to Tokyo. He joked that Hirono didn’t call to tell him she was in Tokyo and commented that she had gotten very pretty. It seems like Kenichi’s script writing isn’t that good, and because of that, some of the actors decided to leave the troupe. The troupe is in serious trouble now: they have a play coming up and they’re short on actors. Rei quickly suggest Hirono to join the troupe, and the White Tights, so far with only male actors, gladly accepts her participation. Since the dorama talks about Sabakan and the road to their big debut, it’ll only be right if the band performed some original songs. 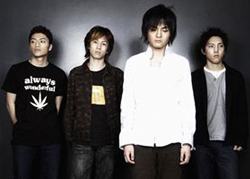 One of the first songs that the band performed is “to me”, which is written by Ryuuji. In reality, this song is actually written and composed by a band called BOO BEE BENZ. Other songs performed by Sabakan include “Friend”‘, “Yumekui”, and “tears”. All these songs are written and composed by Otsuka Ai. Otsuka Ai’s 6th single “Daisuki dayo.” included “Friends -Sabakan Version-” as the b-side track. A different version of “Friends” was later released on her second album, LOVE JAM. On August 2, 2006 Otsuka Ai released her 12th single, “Yumekui“, which features “Yumekui” as the a-side and “tears” as the b-side song. Overall, I had a really good time watching this dorama. Maybe it’s because I’m a girl, so I can relate to the girls’ situations and emotions. There are times when leading male characters express their inner most feelings too. And watching these kinds of scenes were really interesting, because I would never had expected a guy to confess their feelings so openly. This is a story about people’s lives in Tokyo, so of course there will be laughter, tears and awkward moments. There are times when they are just being plain silly, talking nonsense, arguing, and judging another person’s actions. Then there are times when the characters took each other’s words to the heart and I can’t help but envy their relationship with “aww” and smiles. Although the dorama wraps up pretty nicely, it still left a lot of unanswered questions, which leads to the speculation of a sequel to end the story once and for all. Sure enough, on March 13, 2006, an official announcement was made about “Tokyo Friends The Movie“. 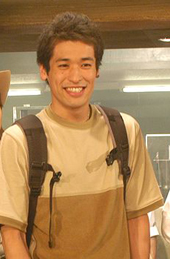 The movie will continue from where the dorama left off and will be released across theatres in Japan on August 12, 2006. An Original Sound Track (OST) of the movie was also set to be released on August 23, 2006. The limited first press of this OST will include 3 can badges that were used by the Sabakan members in the movie. GREAT STORY….. i like this. i have one question, how do you put your mp3 player, i mean where did you get it? because it was so simple and nice and loading pretty fast too..
Hi, I’m Kousuke Fazrul from Malaysia. Simply the best japanese drama besides My Boss My hero. it is a good drama because it inspires me and other people to dream big.When I watch this film I was so in love when I watch this but like rei she needs to give up for his dream that’s why I need to give up my bf for my dream but he understands why I do this.I learned not to make mistakes and learn how to grew up with just by myself hope I can fulfill my dreams. i’ve seen this story couple of time and this story really touch my heart a lot……..
and woooooow again for her…………. hei!! myself noticed that u r a girl from the first time you comment the drama. i’m always tend 2 learn japan but still got no time….u hv any suggestion??? and i really like the last song she sing where she play guitar (but not really move her left hand)….title of that song?? I notice that you didn’t mention the title of the song that Ai Otsuka sang when they opened as front act of Furacha in Hokkaido. Do you happen to know the song title w/ the lyrics that tells about her past relationship with Eita or Ryuuji? wonder how vivid the characters in this drama. wish i have been in tokyo. isn’t great that theatre survives on such dorama? hi…i’m jusween @ jaz from Malaysia…..i really lurve this movie…i stayed up at night to watch this movie and need to go to school the next morning…although i know i will get sick and i really got sick…i continued admiring this movie…i watched it a few times….i would lurve to if any one can tell me where to get these songs and lyrics which touches my heart so deeply…….thank you so much….. I LOVE THIS STORY VERY MUCH…. Tokyo Friends simply the best Japanese Movie I’ve seen so far. The way the story goes and music were so touching. I have to stay up late night to see how the story end because in Malaysia, the movie was aired from 12.30am to 3.30am.. imagine going to work next day with only sleeping 3 and a half hours. Yoko Maki is so pretty and cool in that movie. I hope one day I can see her here, in Malaysia. Keep up the good work and all the best that life can brings to you, Yoko Maki@Ryoko. I’m Sharul from Malaysia. I really love this movie. Dreams and friends are important in our life. All songs in this movie are very cool. I wish all the actress in this movie will come tour in Malaysia. hiza wo kakaekonde naiteiru no? kaze to midori to tawamuretakke na? dare ga kimi no koto wo shinjiru no?